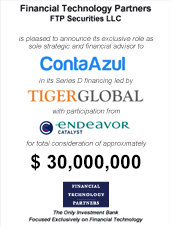 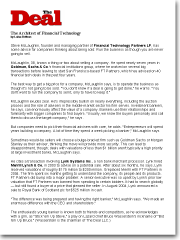 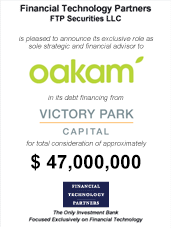 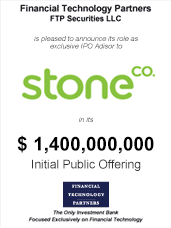 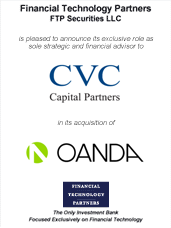 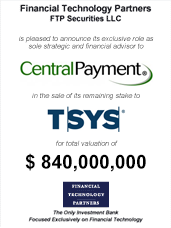 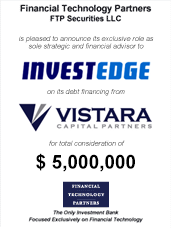 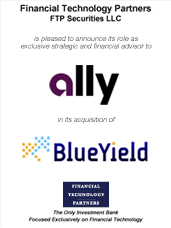 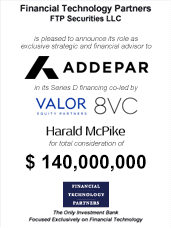 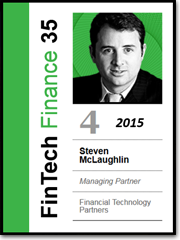 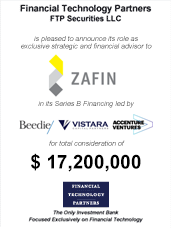 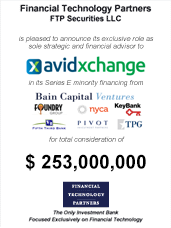 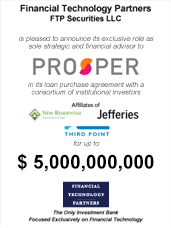 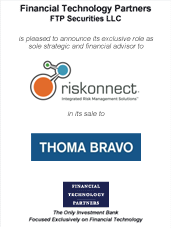 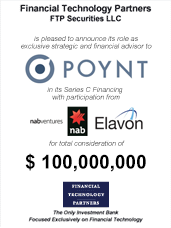 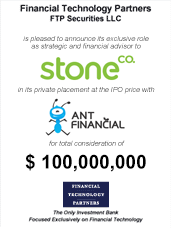 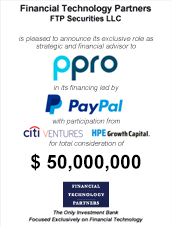 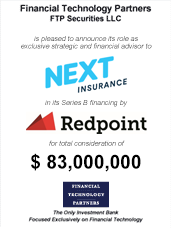 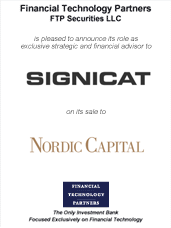 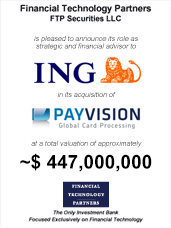 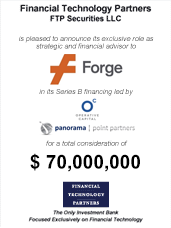 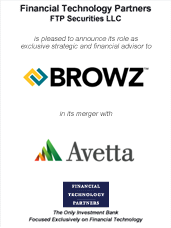 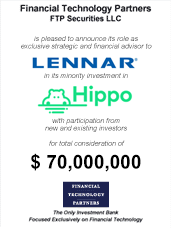 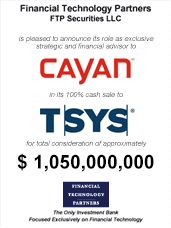 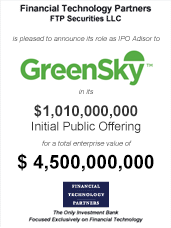 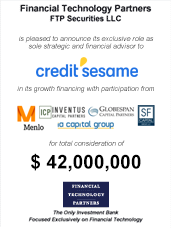 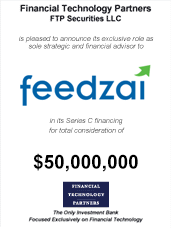 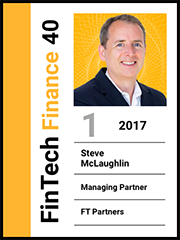 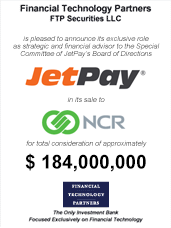 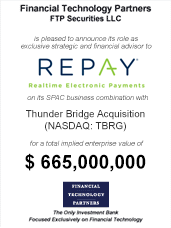 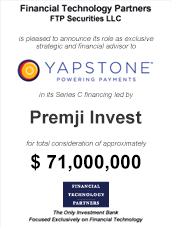 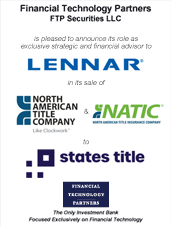 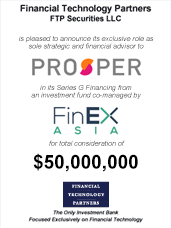 Financial Technology Partners LP and FTP Securities LLC ("FT Partners") is the only investment banking firm focused exclusively on the financial technology sector. 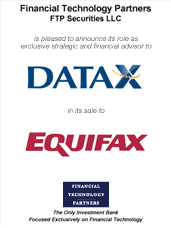 We broadly define the sector as the dynamic convergence of technology-based solutions and financial services. 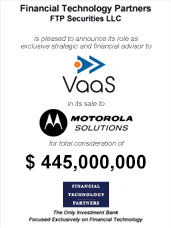 FT Partners was recently recognized as "Dealmaker of the Year" and "Investment Banking Firm of the Year" by The M&A Advisor. 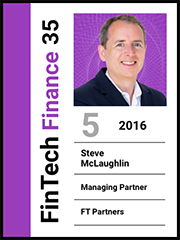 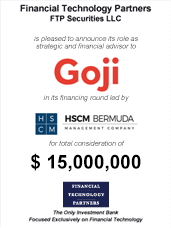 The firm was founded by Steve McLaughlin, Managing Partner, formerly a senior investment banker in Goldman Sachs & Co.'s Financial Technology Group and Financial Institutions Group in New York and San Francisco. 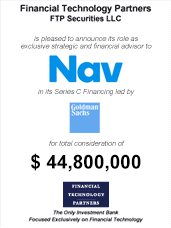 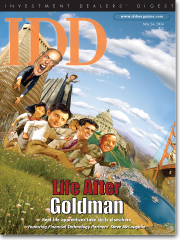 The firm's Founder and senior bankers are all highly experienced investment bankers formerly with the financial technology, M&A and investment banking groups of Goldman Sachs & Co in New York, San Francisco, London and Los Angeles. 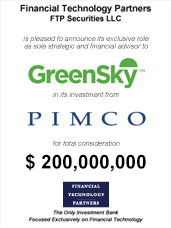 Clients want and deserve the best in overall investment banking services, industry knowledge, relationships and senior level experience. 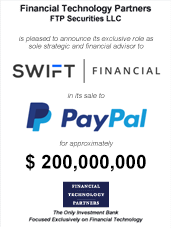 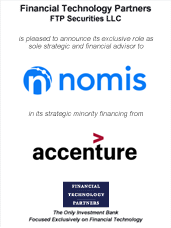 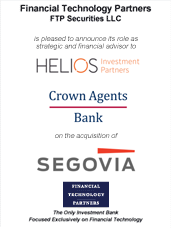 In the complex financial technology sector, we believe no other firm offers a higher set of skills, expertise and mission critical advice to leading CEOs and industry decision makers. 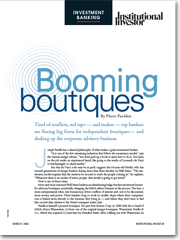 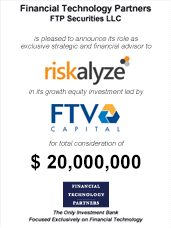 When you want to explore your firm's full potential, consider FT Partners' full suite of strategic and financial advisory services. 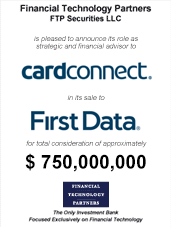 With years of transaction experience on some of the largest transactions in history, we bring our unique approach to your firm to maximize value to your shareholders. 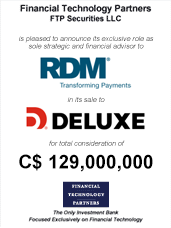 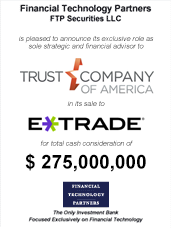 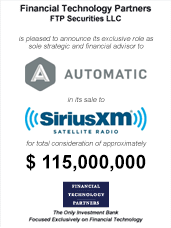 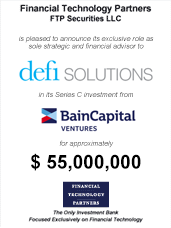 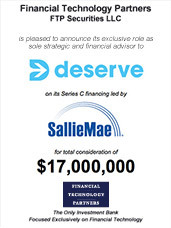 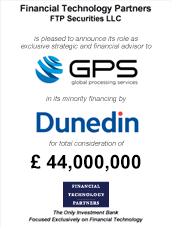 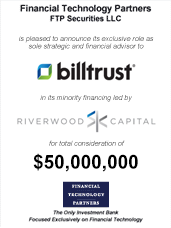 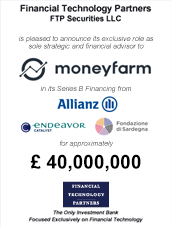 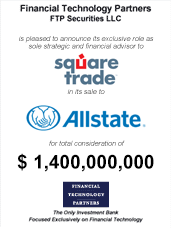 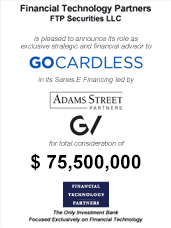 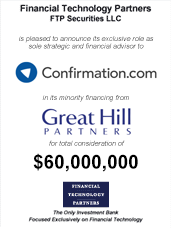 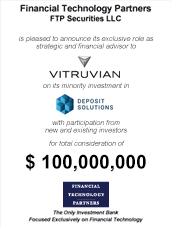 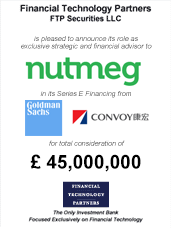 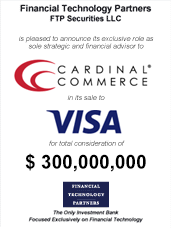 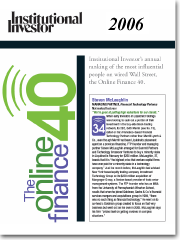 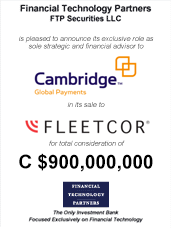 FT Partners Advises RDM on its C$129,000,000 sale to Deluxe Corp.
FT Partners Founder Steve McLaughlin ranked as the #1 FinTech banker by "The Information"
FT Partners Wins "Dealmaker of the Year" and "Professional Services Deal of the Year"
FT Partners Receives Nine Award Nominations Including "Dealmaker of the Year" and "Investment Bank of the Year"
FT Partners Wins "Investment Banking Firm of the Year" Award and Recognized for "Deal of the Decade"
FT Partners Advises Outsource Partners International in its $91,000,000 sale to ExlService Holdings, Inc.
FT Partners' Founder Wins 2007 "Dealmaker of the Year"
FT Partners' Steve McLaughlin Featured Article in The Daily Deal - "The Architect of Financial Technology"
FT Partners' Founder Steve McLaughlin Awarded 2006 "Financing Professional of the Year"
FT Partners Selected as the "Investment Banking Firm of the Year"